DR. CHARLES CREIGHTON M.A., M.D. CREIGHTON, CHARLES, M.A. Aberd. 1867, M.B. and C.M. 1871, M.D. 1878; M.A. Camb. (propter merita); (Aberd., Edin., Vienna, and Berlin); formerly Demonst. of Anat. Univ. Camb. One of 4 significant medical men to oppose smallpox vaccination (along with William Job Collins, Walter R. Hadwen, and Edgar Crookshank). He was asked to write an article for the Encyclopaedia Britannica on vaccination, which led him to the conclusion it didn't work. Consequently he was erased from the history books. The whale.to editor managed to get him onto Wikipedia (2006). You can see how the Allopathic editors there have suppressed all links to his books on this website and others [ref] [ref] [ref]. He was one of the Vice presidents of the The National Anti-Vaccination League in 1921. "It is difficult to conceive what will be the excuse made for a century of cowpoxing; but it cannot be doubted that the practice will appear in as absurd a light to the common sense of the twentieth century as blood-letting now does to us. Vaccination differs, however, from all previous errors of the faculty, in being maintained as the law of the land on the warrant of medical authority. That is the reason why the blow to professional credit can hardly help being severe, and why the efforts to ward it off have been, and will continue to be so ingenious." Charles Creighton M.D. 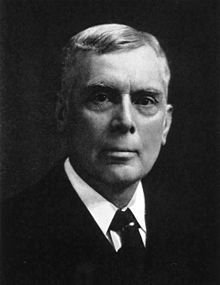 Biography of Dr. Charles Creighton, M.A., M.D. 1883-6 Handbook of Geographical and Historical Pathology (translated from the German of A. Hirsch), 3 vols. 1884 Art, "Pathology," Encyc. Britain., 1884 ; and other works. Contrib. On Infection of Connective Tissue in Scirrhus Cancers of Breast Journ. Anat. And Physiol. 1889 Jenner and vaccination A strange chapter of medical history Swan Sonnenschein & Co.
1905 Plague in India. Being a paper read on May 18, 1905, before the Indian Section of the Society of Arts. George Bell & Sons: London. 1908 Contributions to the Physiological Theory of Tuberculosis. Williams & Norgate: London.